The ABS Battlebox Essential Eclipse is $600 off right now. Sometimes it really pays to buy a prebuilt gaming machine rather than rolling your own. Newegg is selling a powerful ABS Battlebox Essential gaming PCRemove non-product link with an 8-core Ryzen 7 2700 processor and Nvidia’s GeForce GTX 1070 for just $800 after a $600 discount. That’s a great price considering you’d pay $600 to $650 just for that processor and graphics card alone in a DIY build. It’s not clear when this sale price ends. 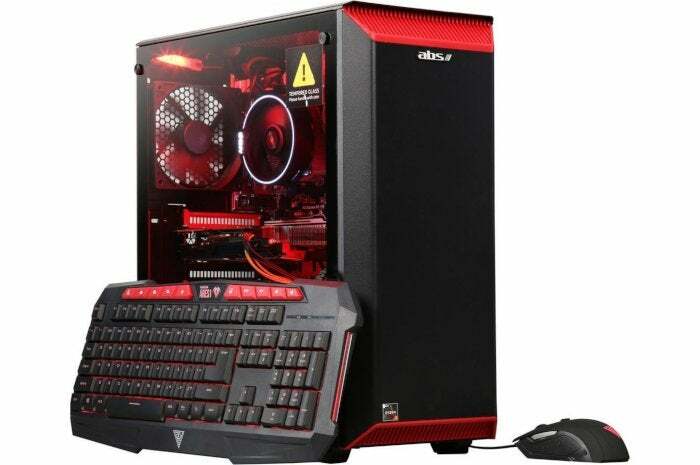 This desktop PC comes in a nice looking case with red accents and a transparent side panel that shows off all your hardware. The processor is an eight core, 3.2GHz Ryzen 7 2700. ABS doesn’t specify much about the graphics card other than it’s an Nvidia GeForce GTX 1070. That’s a great graphics card for 1440p gaming at 60 frames per second, or ultra-fast 1080p gaming. The Battlebox Essential ships with 8GB of RAM—a solid start, though you may want to upgrade eventually to 16GB. It also has a 120GB SSD boot drive paired with and a 1TB spinning hard drive for storage. For ports, you’ve got two HDMI 2.0, two DisplayPort 1.4, one DVI-D, one USB 3.1 Type C, five USB 3.1 Type A, and two USB 2.0. In addition to all that internal hardware you’ll also get a free mouse and keyboard, Tom Clancy’s The Division 2, and some free Fortnite goodies. If you’ve been looking to upgrade to a potent gaming rig with a future-proof processor, don’t miss this mouthwatering deal. This story, "This powerful gaming PC packs an 8-core Ryzen CPU and Nvidia's GeForce GTX 1070 for just $800" was originally published by PCWorld.